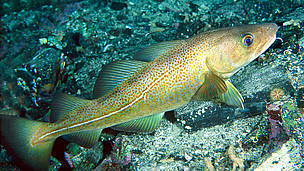 The western Baltic cod is on the brink of collapse. The EU Fisheries Ministers will meet and decide on next year’s total allowable catches for the Baltic Sea during the Council meeting, 10-11 October 2016. WWF urges the Council to apply the agreed regional Management plan and stop the continued political horse-trading which risks a future without Baltic cod on the dinner menu. Total Allowable Catches (TACs) and quotas are the main instruments to manage commercial fisheries in the EU waters. The European Commission is proposing a drastic reduction in the TACs for both Baltic cod stocks as a reaction to the most recent scientific advice reflecting the critical state of the western Baltic cod stock. Yet Denmark and Germany, countries with the largest proportion of the quotas for the western cod stock, are locked into short-term economic argumentation rather than working to secure a long-term future for communities reliant on cod fishing. The Ministers are furthermore turning their backs on the agreements made under the European fisheries policy to commit to achieving sustainable stocks. “Fisheries ministers have allowed overfishing to continue for well over a decade and now, because of mismanagement, we are in a situation where we almost have to close down the whole cod fishery. Solutions need to be found and that will obviously be very painful for the people and communities who rely on that fishery,” says Ottilia Thoreson, Manager of WWF Baltic Ecoregion Programme. This is the first time the recently approved Baltic Sea multi-annual management plan is being put into practice. The plan stipulates that under the current situation for the western Baltic cod, fishing pressure has to be substantially reduced and further remedial measures such as closures have to be taken. The Commission now also has the power to close the fishery if Member States cannot agree on sufficient measures to rebuild the stock. “We know that there are some countries that still do not want to stick to their legally binding commitments and continue exploiting the fish stocks in a business-as-usual fashion. We have seen this happen time and time again in other fisheries, with disastrous results, and it could be catastrophic to see this replayed in the Baltic Sea. It would also be a slap in the face of those who believe in adhering to agreed legislation which was designed to help put the Baltic Sea fisheries on the road to recovery,” says Ottilia Thoreson. The western cod stock has been unstable since the 1990’s and is now on the brink of collapse. Science shows the stock is below all safe reference points with impaired reproduction ability and the fishing mortality has been well above sustainable levels for many years. The eastern cod in turn has showed very promising signs of recovery but at the moment the stock is deemed as data deficient, meaning no real adequate management can be set. The European Commission proposes a reduction of 88% compared to 2016 levels for the Western Baltic Sea cod, corresponding to a quota of 1588 tons and a reduction of 39% with a quota of 24,827 tons for the Eastern Baltic cod stock. The western cod stock has been unstable since the 1990’s and is now on the brink of collapse.